In a faraway forest lived a wolf who had no friends even though he was very nice and inoffensive. 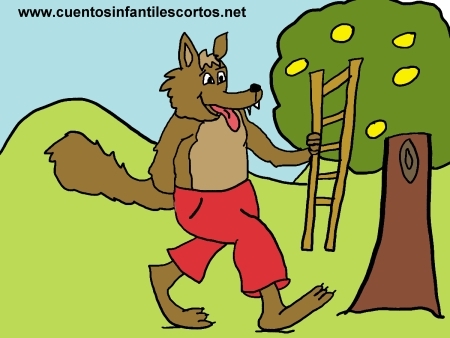 – ” Let´s be friends” – said the wolf, but the racoon ran away confusing the poor wolf. Then he saw a big bear, who also ran away when the wolf approached him, A little bird, who was around, flew up into the sky and disappeared when he saw the lonely wolf. A spider did the same, and so did a rabbit, a deer and a squirrel. The wolf finally realised that the other animals were scared of him and that he wouldn´t be able to find a friend. When the other animals saw him scared of a skunk they realised that he would probably be a nice wolf, otherwise he wouldn´t be scared of a little skunk. They all visited the wolf, until all the animals were his friends, even the skunk, who was very nice too. Well, appearances are deceptive, so let´s give everybody an opportunity to get to know each other. Saying Hello is a good way to begin.